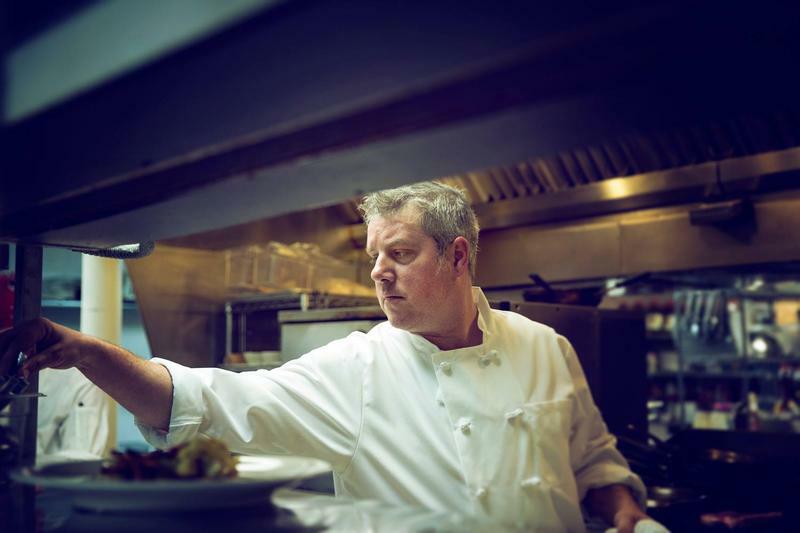 Chef Myles Anton owns Trattoria Stella in Traverse City. 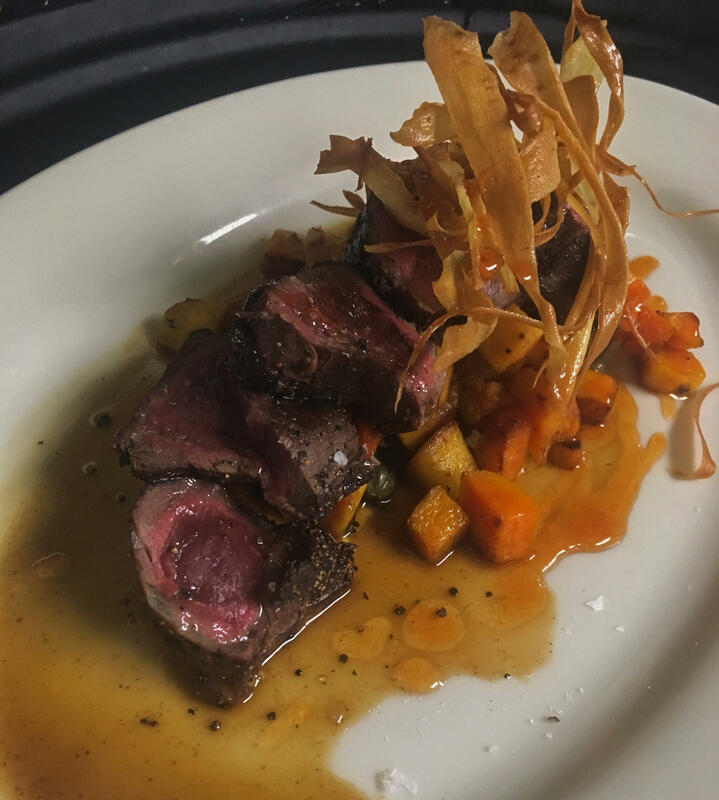 Listen to Stateside's conversation with Chef Myles Anton about the best methods to prepare venison. November 15th is the start of firearm hunting season in Michigan, which runs until the 30th. That got us wondering about the best ways to cook and serve venison. Myles Anton is the executive chef and owner of Trattoria Stella in Traverse City. He spoke with Stateside’s Cynthia Canty about his favorite methods for preparing venison. You can listen to their conversation above, or read highlights below. "The fat content isn’t quite so high on it as beef, so if you were to cook it through - especially on the more tender cuts - it tends to get a little dried out. So you need to supplement with a sauce or something like that to kind of bring some fat and moisture into it. It can also get a little livery tasting when cooked through, so on the tender cuts...we tend to serve them medium-rare, and hopefully people like that." Anton's current venison dish at Trattoria Stella is hard seared with black pepper and coriander. "We’re going full fall with this dish. We dust it with black pepper and coriander, and then we hard sear it so it gets this nice brown outside with that pepper jumping out. And then we’re serving it with fall vegetables that we roast. We’re doing roasted rainbow carrots, butternut squash chunks, pumpkin chunks, and some rosemary. And then we finish that with an apple cider glaze, a little line of marsala butter, and you’re there. I think we’re doing some crispy parsnips, as well." "You can do things, like slow-cooked things like ragus. We just finished featuring an ossobuco the last three weeks or a month at Stella, and that is cooked through. Actually, the ossobuco is the shank. And we slow cook it for six hours until it’s basically falling apart, but it’s cooked in sauce, in broth, basically stock we make out of bones. So you’re adding moisture. And we usually finish that sauce with just a dab of butter to up the fat a little bit." "I would definitely go red. Maybe a Barolo, something like that. Obviously, I’m the Italian lean there. Cabernet sauvignon, probably, if you’re not going Italian...something hearty, something rich that plays with the unctuousness and the pepper." "We just finished apple season, and so we’ve got a lot of storage apples right now. We’re actually featuring an apple tart that we’re doing with a Danish dough. And then we serve it with caramel sea salt gelato, and some...again, with the apple cider, we make like a reduction glaze and drizzle that around it, and some toasted walnuts with that, as well." For many Michiganders, the start of firearm hunting season is like a state holiday. Today, tens of thousands of hunters hope they'll be successful as they head outdoors in search of deer. The Department of Natural Resources (DNR) hopes the successful hunters will stop by one of their deer check stations before having their deer processed. 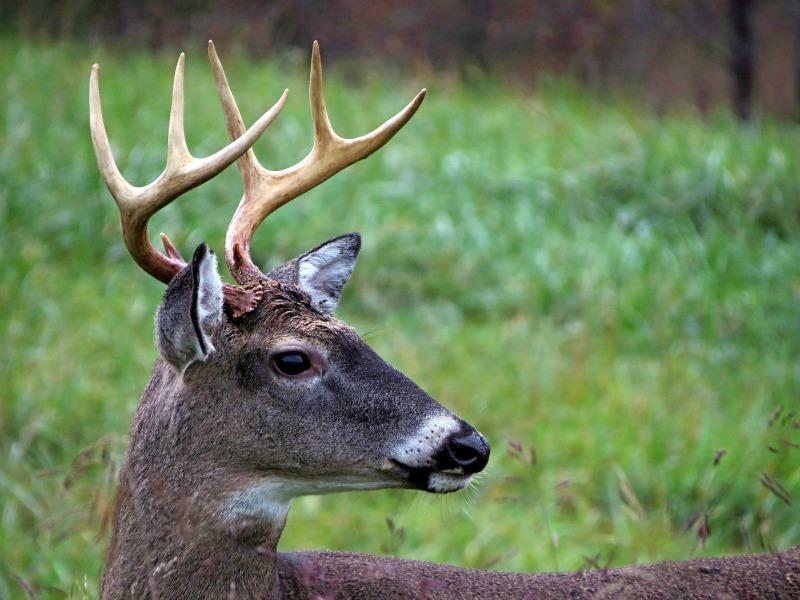 It's a good way for the DNR to keep tabs on the health of Michigan's deer herds. The tougher regulations are intended to prevent the spread of chronic wasting disease among Michigan's deer, elk, and moose. 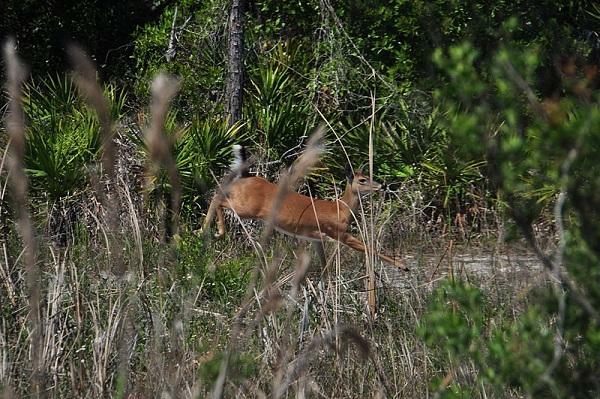 The illness attacks the central nervous system of animals in the deer family and can eventually kill them. Nine free-ranging deer in Michigan have tested positive since April 2015.